6. It’s Tough To Be A Bug – The icon of Disney’s Animal Kingdom is the massive Tree of Life which can be found in the middle of Discovery Island and is so large that it can be seen from many vantages throughout the park. The Tree of Life is actually so large that an entire attraction is housed in the base of its trunk, and as it is shown inside of an indoor theater, it is a great option for a rainy day. 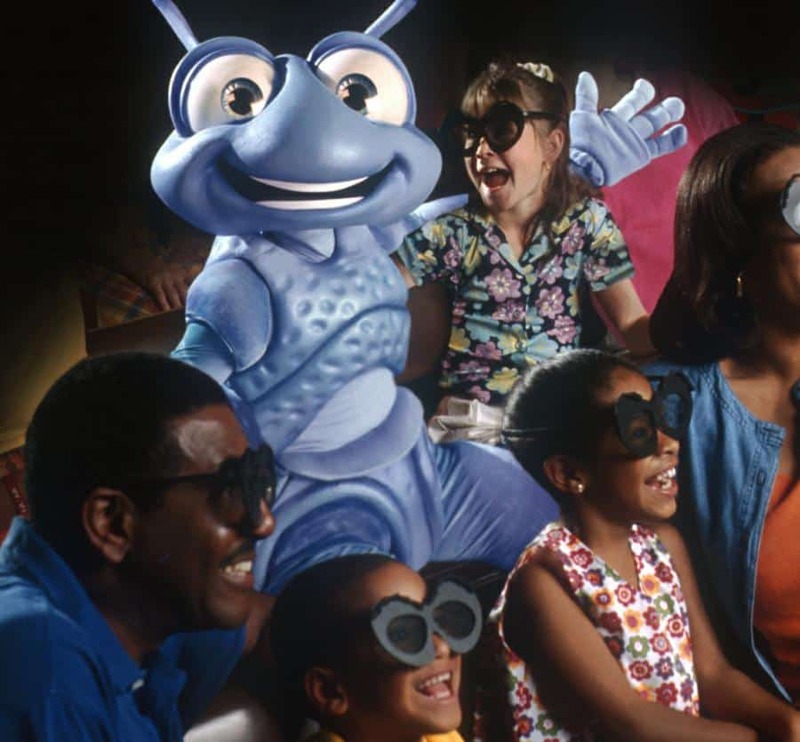 It’s Tough To Be A Bug shrinks guests down to the size of insects and makes them honorary bugs before giving them special 3D glasses. Flik from A Bug’s Life then comes out to host the show which aims to educate guest through entertainment that insects are friends and not pests. Unfortunately, Hopper has other ideas and tries to get rid of guests for all of the times that they have exterminated bugs. Ultimately the day is saved, but It’s Tough To Be A Bug packs some thrills, humor, and great moments that guests are sure to love!